Dry chapped lips are as normal as the weather. It happens specially during hot seasons like summer. 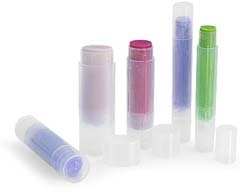 That’s why lip balms are so saleable and they come in all sorts of flavor not to mention all sorts of chemicals. Did you know that your lips are made up of epithelial cells, same as the ones in your intestine? So basically your lips are clothed the same as the intestines yeah? Imagine your intestines brought inside out and exposed to the dry and hot season. Pretty ugly and painful right? For the lips however, the cause might not be so much about the dry weather but the elements inside your body that may be deficient. Calcium for instance is important in binding all the cells together inside your body, specially your epithelial tissues. The cells however can’t absorb the calcium without the fatty acids found in flaxseed oil and fish that you must be consuming in certain amounts. It is recommended that you take Calcium, Magnesium twice a day on empty stomach. When you must buy a lip balm to fix chapped lips, avoid those containing phenol and camphor, which are ingredients found in cleaning supplies. Instead, buy those containing cocoa butter to help rehydrate your lips. Have you ever thought that sipping HOT water could help? I was surprised when this is mentioned in a book I have read. But it makes sense in helping cure your chapped lips because heat increases circulation and by doing so, dilates your circulatory system allowing moisture and blood for that matter to reach your lips. Makes sense right? Just take a sip or two every 10 minutes to make this work.